SEOUL - Nut rage imploded the career of a Korean Air Lines executive and embarrassed her family and country. 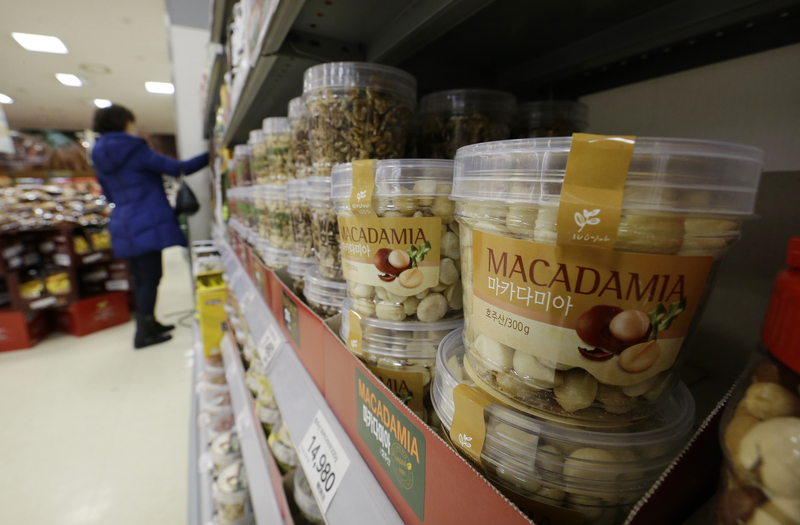 Now South Korean retailers are experiencing the unexpected upside: a boom in sales of macadamias. The flavorful macadamia nut was unfamiliar to many South Koreans until Cho Hyun-ah, the daughter of Korean Air’s chairman, ordered a flight attendant off a Dec. 5 flight from New York City after she was served them in a bag, instead of on a plate. She resigned from executive roles including head of cabin service last week amid a storm of criticism about the tantrum that forced the flight to return to the gate. But macadamias are now a household name in South Korea and with curiosity about their taste piqued, sales are booming. Auction, a South Korean unit of eBay and South Korea’s second-largest e-commerce website, said Monday that sales of macadamias surged nearly 12-fold during the previous five days without any promotions. 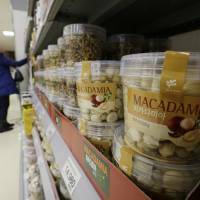 It said macadamias previously made up 5 percent of its nut sales but were now accounting for almost half. South Korea’s largest online shopping retailer, Gmarket, also owned by eBay, said Macadamia nut sales jumped 20 times during the six days to Sunday compared with the previous week. The website of e-commerce firm Coupang showed Mauna Loa macadamia nuts had sold out, with about 100 users asking on the comments section for the product to be quickly restocked. One Coupang user asked if Mauna Loa macadamia nuts are the same brand that delayed the Korean Air flight. Another person who identified themselves as a seller replied that they probably are because orders have shot up. One user parodied Cho’s behavior on the plane, leaving a comment that asked the seller to ship the macadamia nuts on plate, or get out. Cho’s over-mighty behavior hogged headlines around the world and spawned various parodies on the Internet. Cho made a publicly apology last week. Her father also publicly apologized and said he should have raised her better.